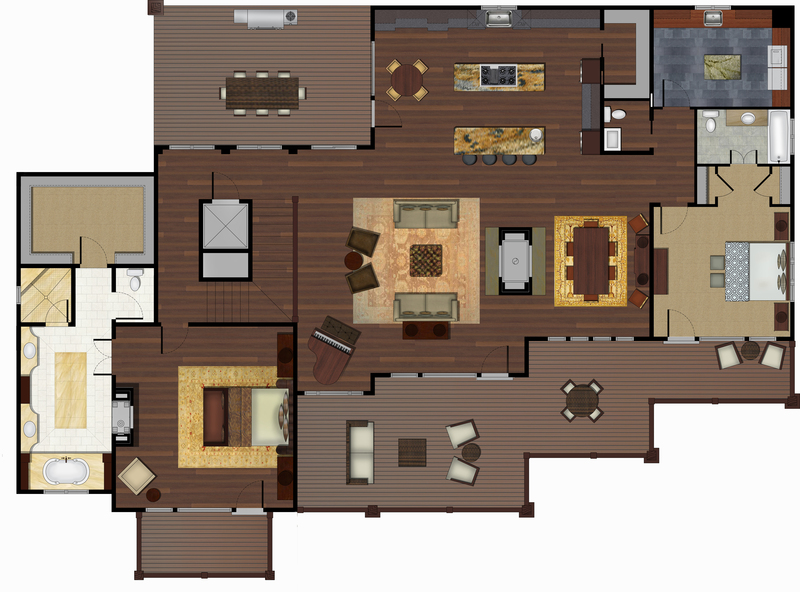 You’ve already seen the the lower floor of Pam’s virtual home design now it’s time to move into the main floor of the home. The main floor includes the great room, dining room, kitchen, master suite, guest suite, laundry facilities, and plenty of decks to enjoy the great view. 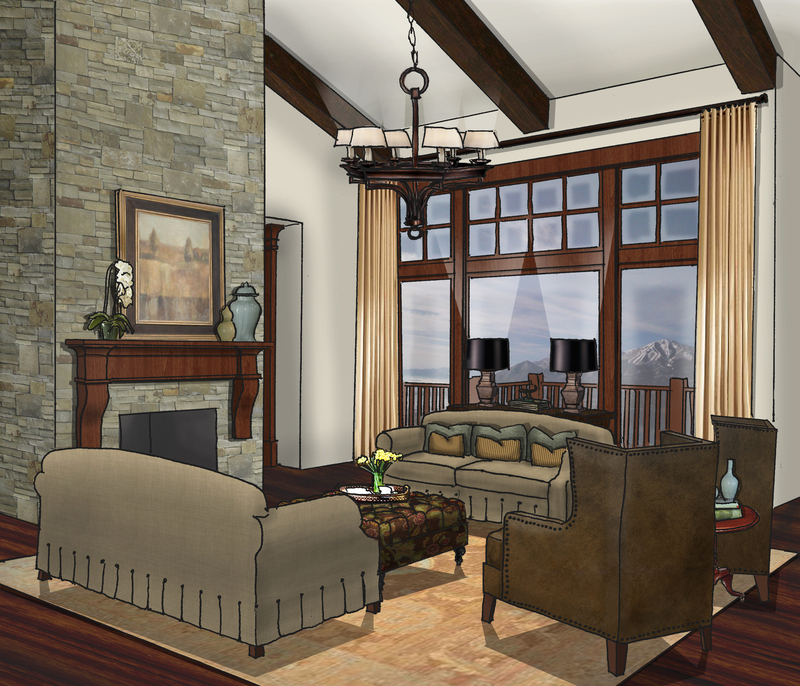 The color scheme of golds and rusts with Celadon green accents that is carried throughout the home helps create the elegant mountain home we going for. A lot of texture was also used throughout the space to connect to the natural landscape surrounding the home. 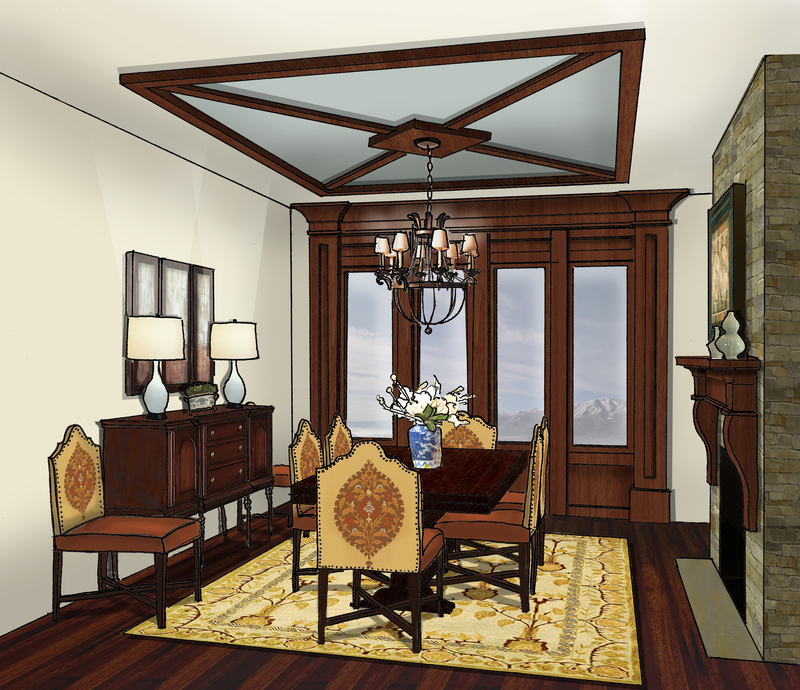 The Celadon accent color helps to update the color scheme and helps to bring the view of the reservoir into the home. 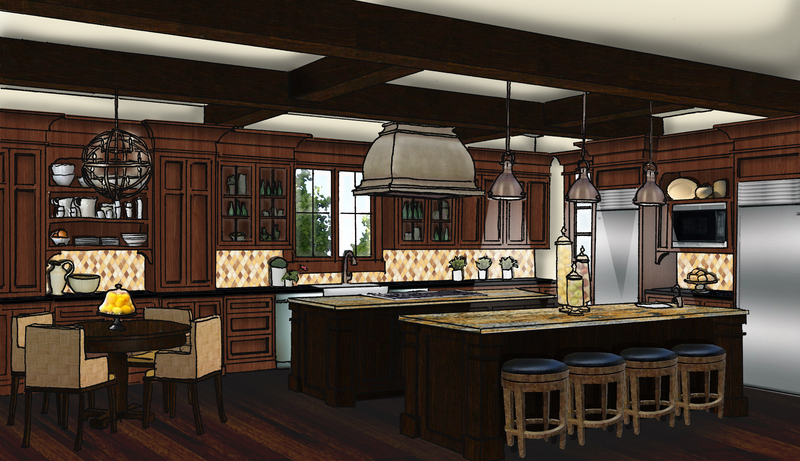 A mixture of wood tones adds contrast and interest to the kitchen. 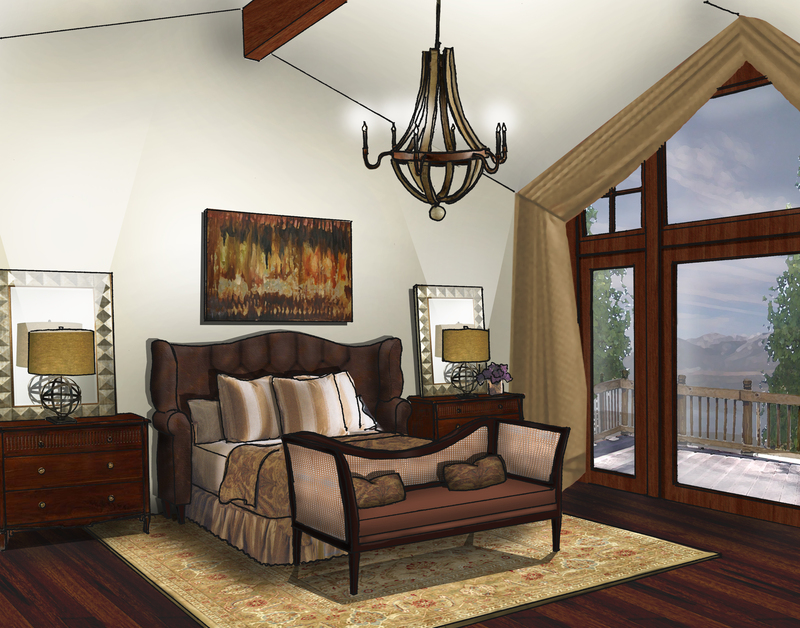 The master suite is to the left of the stairway. The large scale headboard and the settee at the foot of the bed help to bring the lofty room to a more human scale. 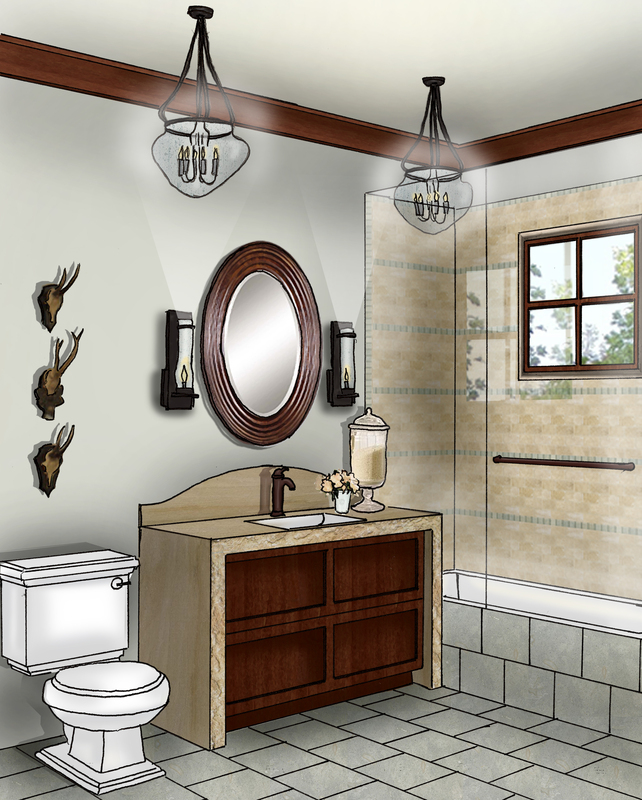 Onyx, cherry, and antique golds create a warm and relaxing master bath. The tub is tucked beneath the window and is enveloped by cherry columns and a barrel vaulted ceiling is a great place to unwind. 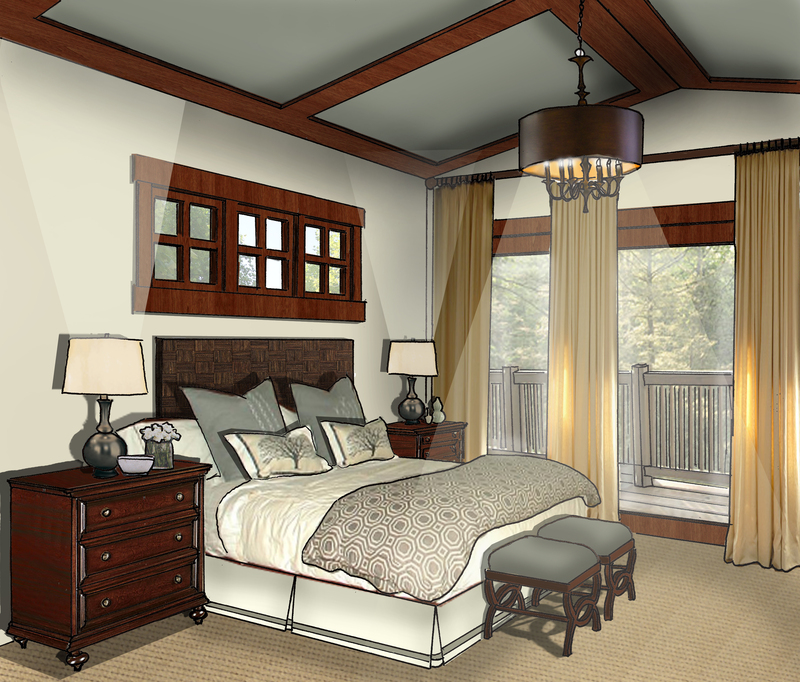 The guest suite brings out more of the celadon green accent color which is highlighted with cherry slats on the ceiling. Travertine and Seagrass limestone wraps the guest bath in luxury. 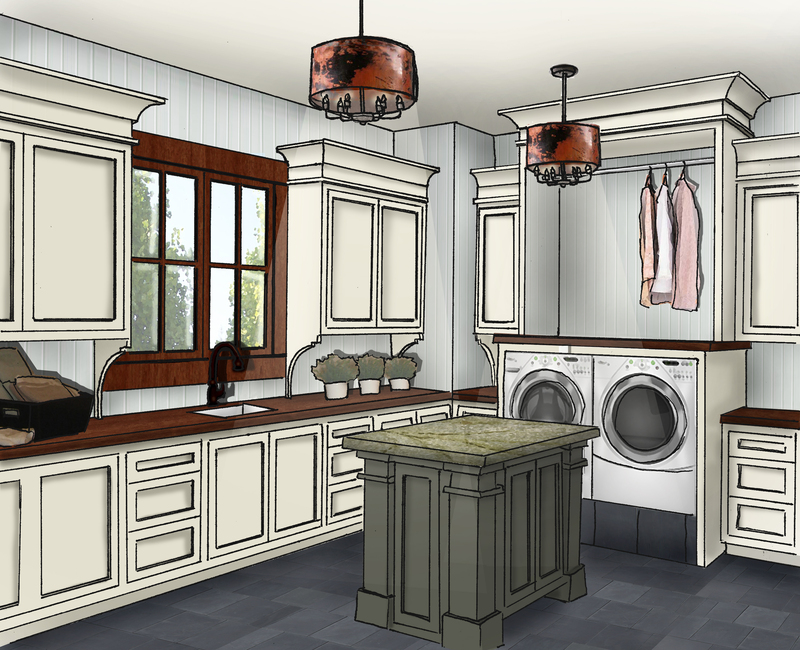 The laundry room, which was kept bright and cheerful with antique white cabinets and a green island for folding, finishes off our tour of the main floor. We’ll be traveling to the third and final floor soon. 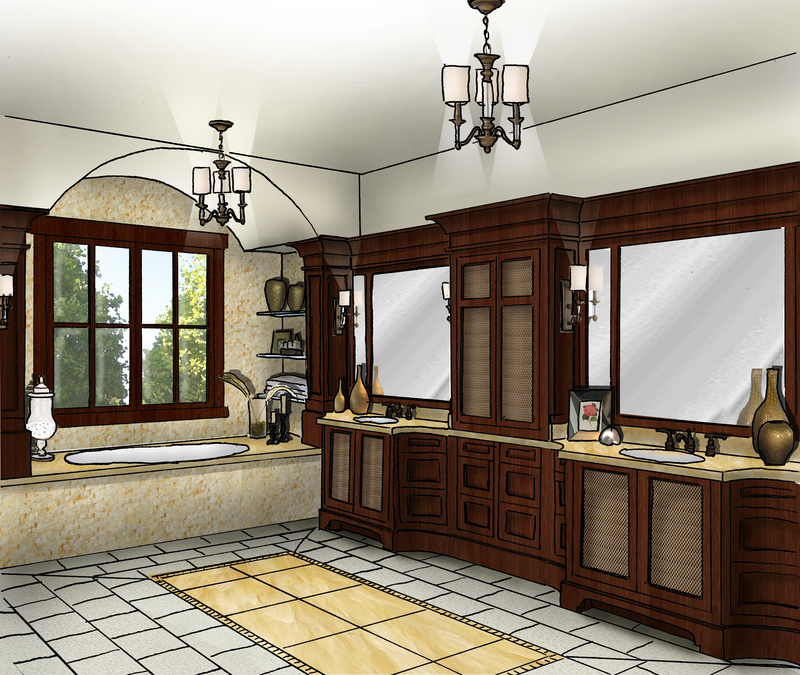 This entry was posted in Interior Design, Kitchen Design, Portfolio. Bookmark the permalink.